StreamingStar - how to download during a prescribed period with HiDownload? Not only being a leader in multimedia streaming video and audio download, HiDownload also good at download other files. Now you no longer have to categorize the download task, HiDownload will automatically categorize according to the document type. 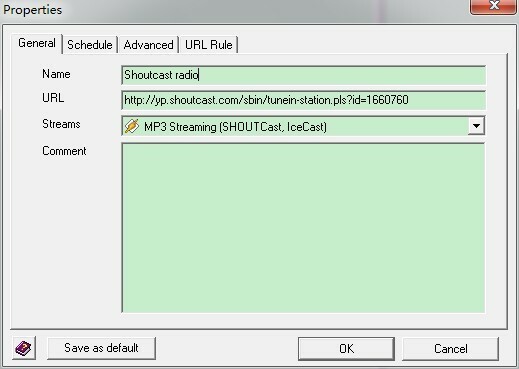 Meanwhile, the software can start to download data within a prescribed period which is a good news for netizens, especially for internet news listeners and online free radio listeners. Special radio programs in specified time can be downloaded easily. For example, how to set HiDownload to download radio during a prescribed period? 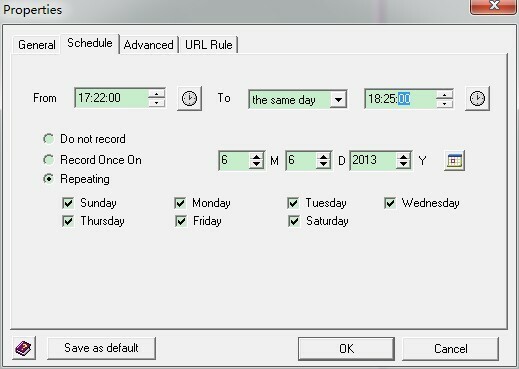 4.you can select "do not record", "Record Once on" or "Repeating". 5.When time's up, HiDownload will download automatically and the download list will display a new process just like below.